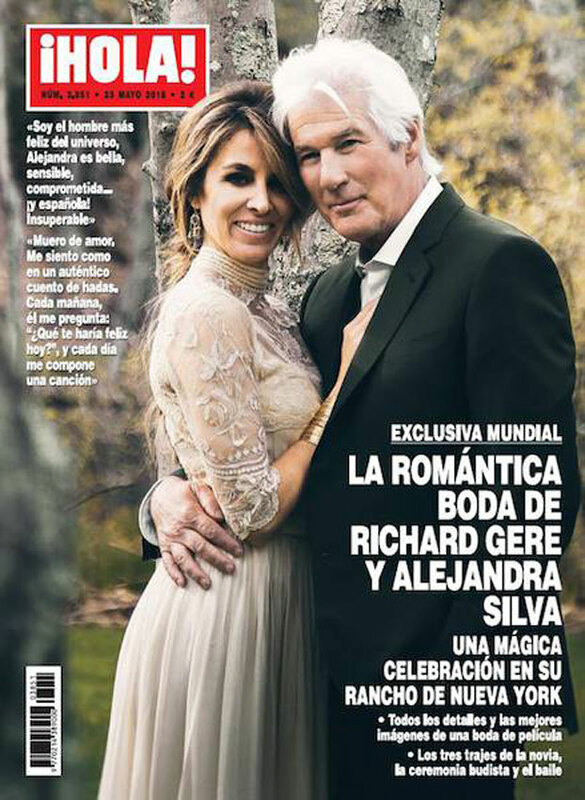 Congratulations are in order for Richard Gere and wife Alejandra Silva, who have welcomed their first child together, a baby boy! Hola.com has learned the newborn came into the world just a few days ago in New York. The bouncing baby boy is the second child for Richard and Alejandra, respectively, as the 69-year-old actor has an 18-year-old son, Homer James Jigme, while Alejandra is mother to a six-year-old son Albert. The pair confirmed their pregnancy news last September through social media, where the 35-year-old mom to be shared a snapshot in which we could see the Dalai Lama touching her belly as Richard looked on attentively. “Very happy receiving blessings for our precious treasure to arrive… I could not announce it without first telling your SS Dalai Lama,” she wrote alongside the photo. Although she is very discreet when it comes to her and her husband's private lives, the Hollywood actor’s wife couldn't help but share the joy of her pregnancy news, telling her followers, “I am so happy!”. The news of her pregnancy came only months after the couple's beautiful wedding, which was covered exclusively by ¡HOLA!. Alejandra and Richard held a civily wedding in spring of 2018. The couple – who starred in their own, real-life rom-com wedding days after as ¡HOLA! revealed in a world exclusive – celebrated at the actor's New York ranch. “I am the happiest man in the universe. How could I not be? I am married to a beautiful woman, who is smart, sensitive, committed to helping others, fun… Alejandra is a great mother, she has the touch of an angel… and she’s Spanish! The land of Kings and Queens, the land of Cervantes and Buñuel… Unbeatable!”, the An Officer and a Gentleman star said on their big day, during which they were surrounded by family and friends. Meanwhile, Alejandra, too, expressed her joy, revealing, "Every morning he asks me, 'What would make you happy today? '".